A Project dashboard is a visual depiction of the project status report. It is a medium for communicating the project status in a crisp, concise, and effective manner. Tracking the project status on a day-to-day basis is one of the most important aspects for successful project management. It is the key for evaluating performance, measuring productivity, and analyzing variance. The top management and the key stakeholders also need to be updated on the health of the project on a regular basis. Therefore a project dashboard forms an effective medium for this as it provides a snapshot of the project status and the audience doesnt have to spend a great deal of time going through all the details usually included in a project status report. You need to decide the reporting period to be depicted in the project dashboard. The time period to be depicted will vary depending on the size of your project. A month-long project might have a weekly dashboard whereas a six-month long project might have a fortnightly dashboard. 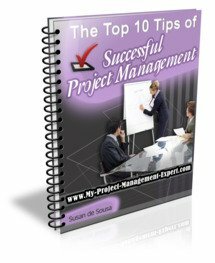 	You need to decide which milestones you want to include in the project dashboard. While deciding this, you must keep in mind that the very purpose of creating a project dashboard is to present the project status at a glance. You should therefore include only the major project milestones and not each and every milestone that has been set up at the beginning of the project. Project dashboards should also contain snapshots of the project resource allocation and project resource scheduling. One of the primary reasons for creating a project dashboard is to communicate the project performance to the keyproject management stakeholders and project sponsors. The project dashboard provides a summarized view of effort and schedule variance to indicate the project performance. The project dashboard might also be used as a platform to highlight any major project risks for which top management support might be needed for mitigation and contingency planning. The above listed points provide an idea of what important parameters should be included in the project dashboard. However, depending on your specific requirements, you might want to vary them. One thing to be careful of is to ensure that the project dashboard does not become so detailed that it makes the project status report redundant. You should always remember that the audiences for the project dashboard are the people who are interested in knowing about the bigger picture. They do not need nor want insight into the very intricate details of why a project deliverable took more time than anticipated and so on. They are merely interested in knowing about the (hopefully) on-time, under-budget status of the project. A project dashboard should always be easy to use and interpret the underlying project status. You should be able to enter data easily and make modifications without too much effort. If you are using a specific software to generate a project dashboard, you should always ensure that it can be easily integrated with other project management tools such as Microsoft Project. The project dashboard should also be easily accessible to the people who might want to view it at any time. You should specify an internet/intranet location for accessing it. If you are looking for a tool to communicate critical project information to the top management and keeping them posted about any major risks that you foresee, you should always use the project dashboard as a medium for sharing this information.